2 stages single ended class A. Acrylic window to see the tubes glow. Mosfet switching power supply. L 17,2 X W 13,7cm X D 6,7cm. Capacitor is WIMA MKP4 and MKP 10 for audio signal. Resistor is metal film 1% tolerance. Single ended class A using an ancient 76 tubes. SRPP design using 5687 in high bias current for maximum linearity. 12AU7 for CD buffering. 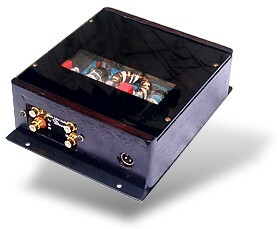 Universal SRPP design preamp using any medium mu tube such as 12AU7, 12FQ7, 12BH7, E80CC etc. Preamp comes with 2X 12AU7 tubes. Push Pull stereo class A design. All tubes were in chassis for safety, since this amps produce a lot of heat. 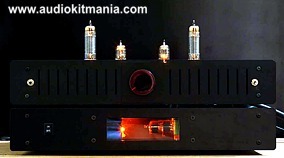 Single ended class A using 300B output tubes , produces 9 watts the most glorious sound you have ever heard.. Single ended class A using EL34 output tubes , produces 12 watts in ultra linear mode the most glorious sound you have ever heard. Single ended class A using KT88 output tubes , produces 15 watts in ultra linear mode the most glorious sound you have ever heard.. Single ended class A using KT88 output tubes , produces 15 watts in ultra linear mode the most glorious sound you have ever heard. All of finish product is made by order. This Site is Designed by PT.Global Prima Solusi.